Sometimes looking at something at the smallest scale can lead to solutions to big problems. Research led by Arizona State University materials science and engineering professor Karl Sieradzki is uncovering new knowledge about the causes of stress-corrosion cracking in alloys used in pipelines for transporting water, natural gas and fossil fuels – as well as for components used in nuclear-power-generating stations and the framework of aircraft. Sieradzki is on the faculty of the School for Engineering of Matter, Transport and Energy, one of ASU’s Ira A. Fulton Schools of Engineering. His research team’s findings are detailed in an advance online publication June 22 of the paper “Potential-dependent dynamic fracture of nanoporous gold” on the website of the journal Nature Materials. Using advanced tools for ultra-high-speed photography and digital image correlation, the team has been able to closely observe the events triggering the origination of stress-corrosion fracture in a model silver-gold alloy and to track the speed at which cracking occurs. They measured cracks moving at speeds of 200 meters per second corresponding to about half of the shear wave sound velocity in the material. This is a remarkable result, Sieradzki said, given that typically only brittle materials such as glass will fracture in this manner and that gold alloys are among the most malleable metals. 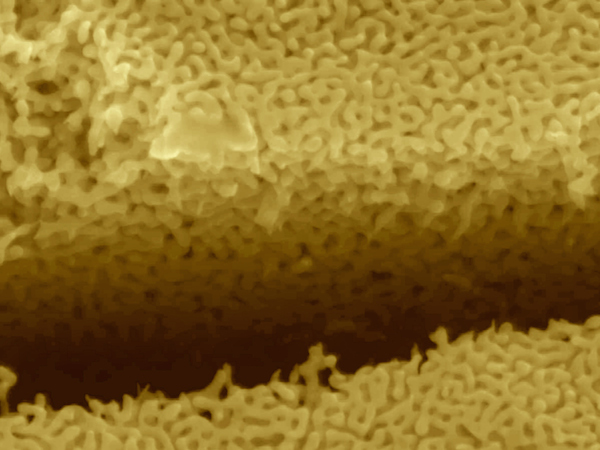 In the absence of a corrosive environment, these gold alloys fail in the same manner as children’s modeling clay, Sieradzki explained: Roll modeling clay into a cylindrical shape and you can stretch it by about 100 percent before it slowly tears apart. In the presence of corrosive environments, silver is selectively dissolved from the alloy causing porosity to form (see photo). If this occurs while the alloy is stressed, the material fails as if it were made of glass. These results provide a deeper understanding of the stress-corrosion behavior of such metals as aluminum alloys, brass and stainless steel that threatens the mechanical integrity of important engineered components and structures. The team’s discoveries could provide a guide for “designing alloys with different microstructures so that the materials are resistant to this type of cracking,” Sieradzki said. The research has been funded by the Department of Energy’s Basic Energy Science program. His co-authors on the Nature Materials paper are former or current ASU materials science and engineering graduate students: Shaofeng Sun earned her doctoral degree in 2013; Xiying Chen is a third-year doctoral student; and Nilesh Badwe earned a doctoral degree earlier this year. 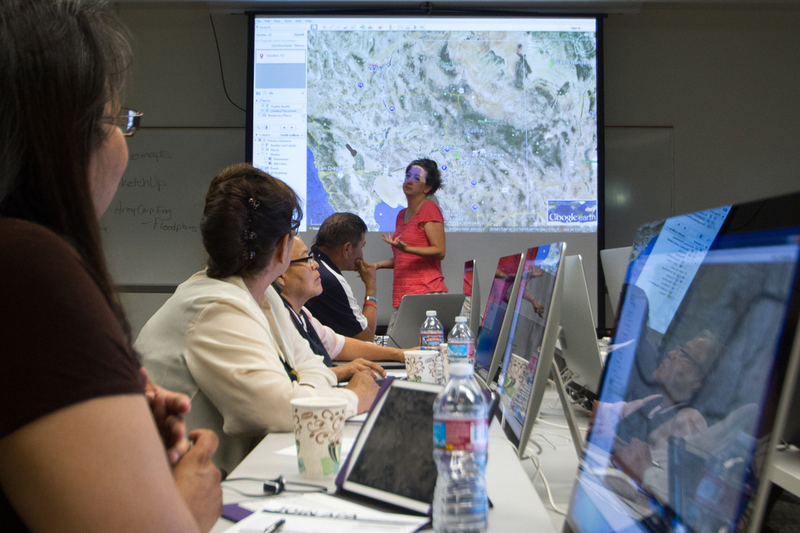 The Navajo Nation is continuing to map its own future, and ASU's School of Geographical Sciences and Urban Planning is playing a key support role through a 12-day community planning program in Tempe.